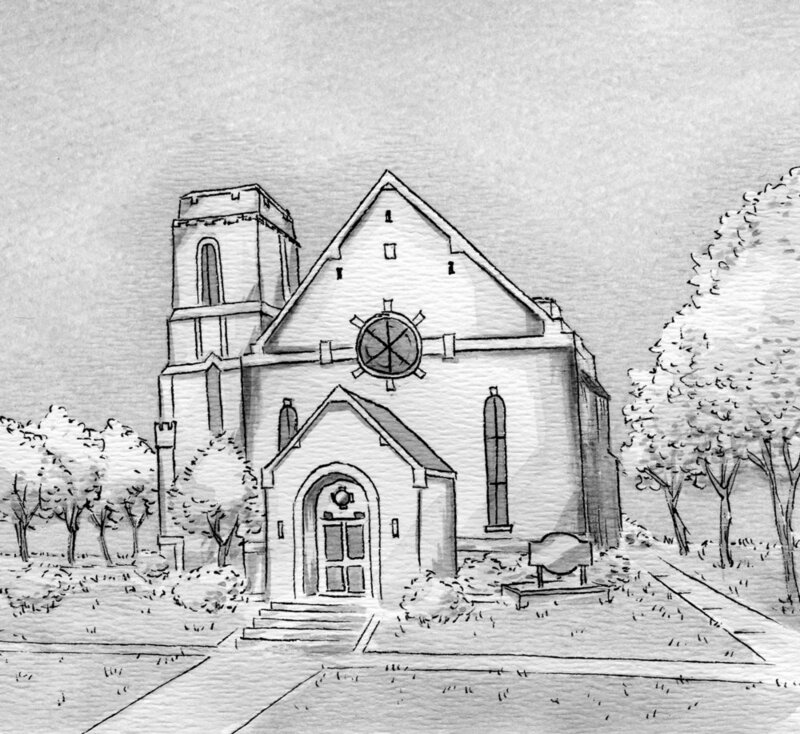 An illustration of the Joy Tabernacle Church for the journalistic book The Poisoned City by Anna Clark. An illustration of the Flint City Water Plant for the journalistic book The Poisoned City by Anna Clark. An illustration for The Art of War book. A portrait of Opus Moreschi. An illustration for a Brooklyn Brewery pint glass.